Adaptation, if necessary, is the ultimate goal of our vulnerability assessment. Just understanding vulnerabilities and risks without a path for action is an incomplete foundation of resilience. Once the vulnerabilities have been identified, we specify project areas, indexing them and prioritizing them based on many factors like flooding extents and timelines, tax revenues, demographics, and accessibility. This process requires the engagement of leaders and stakeholders within the community at the outset, to communicate critical cultural and institutional elements within the neighborhood and to share responsibility. The last step in our study is to develop conceptual projects and cost estimates to address the vulnerable areas. We determine benefit/cost ratios for each project and weight them based on community input. We provide guidance for when the projects should be built to maximize their value. We give communities the tools they need to become more resilient and adapt for tomorrow. 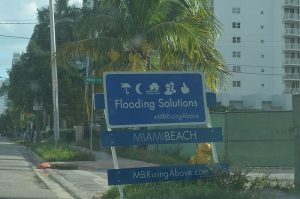 As part of the Sea Level Rise Ready™ Building Program, Brizaga offers adaptation strategies for buildings that are considered Sea Level Rise Adaptable™, and not quite Sea Level Rise Ready™. Our staff has a variety of adaptation strategies for both individualized and community-wide adaptation.